Born in Georgetown, South Carolina, Abraham C. Meyers graduated from West Point in 1833, and fought in the Seminole Wars and the Mexican War. Fort Myers, Florida, then literally a fort, was named in his honor by his father-in-law, General David Emanuel Twiggs. 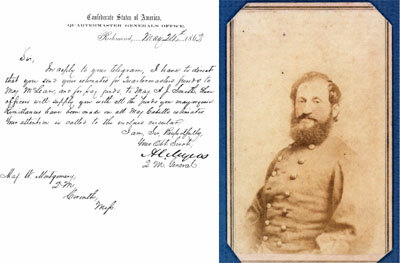 Myers, the great-grandson of the first hazzan of Charleston’s Beth Elohim, was appointed quartermaster general of the Confederacy in March 1861. Colonel Myers eventually administered the largest Confederate supply bureau, with 88 clerks, quartermasters in each state, paymasters and quartermasters in the field, manufacturing plants, special units such as the Tax-in-Kind Office, purchasing agents abroad, and depot and post quartermasters. 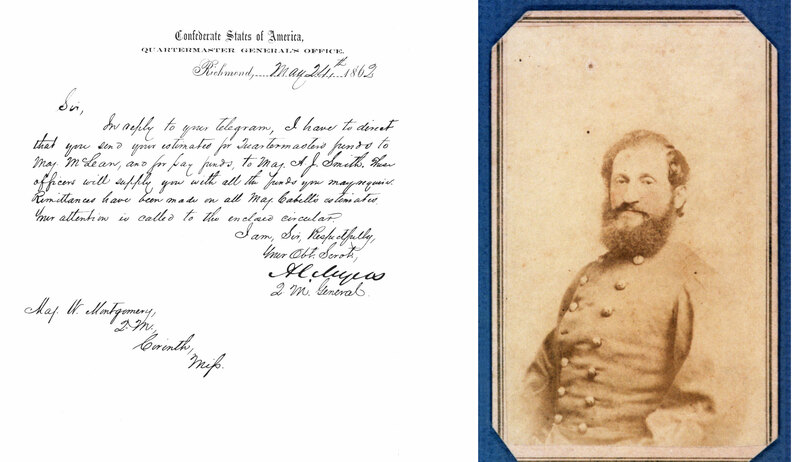 On August 7, 1863, Confederate President Jefferson Davis dismissed Myers and replaced him with Alexander R. Lawton. Myers was humiliated by the termination and remained bitter for the rest of his life.